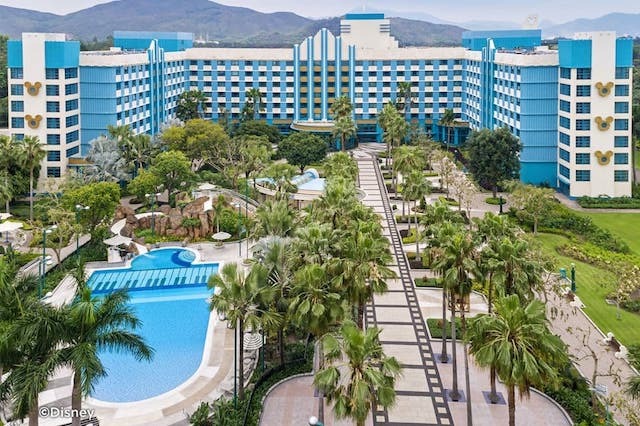 The Hong Kong Disneyland Resort offers three Disney hotel options for staying within the park giving you total immersion in the magical world of Disney. 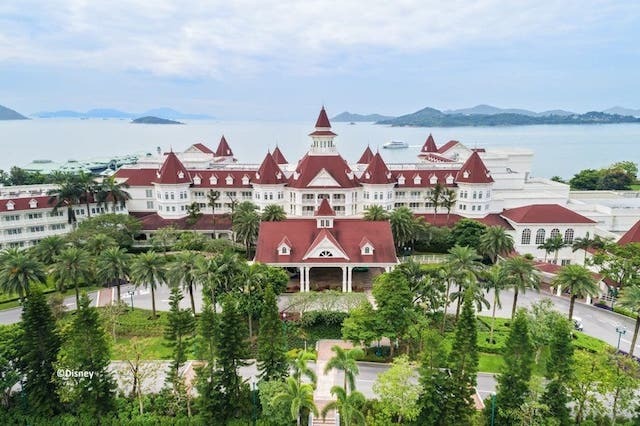 The flagship Hong Kong Disneyland Hotel, the more casual Disney Hollywood Hotel and the adventure-themed Disney Explorers Lodge are all three outstanding venues, family and kid-friendly, with well-appointed facilities. 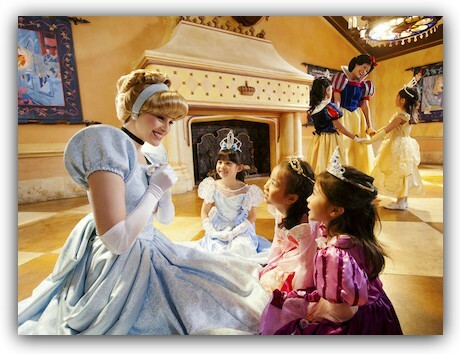 It is not just necessarily about the accomodations themselves, but instead about the magical moments in this realm of princesses, enchanted forests and dwarfs, Mickey ears and "Goofy" characters. Besides their convenient location just a stone-throw away from the Theme Park, you see that magic Disney touch everywhere around. Disney has done an outstanding job in weaving little magical details to fit into each hotel's particular style, from the beautifully landscaped gardens down to the tiniest corner here and there. 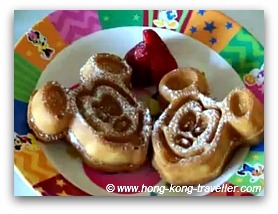 ... and yes, Mickey Dim Sum! 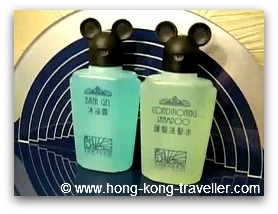 As mentioned before, Disney details have been carefully woven into each hotel's decor, do not expect a big bright Mickey statue welcoming you to the Hong Kong Disneyland Hotel, some details are so subtle if you are not looking you might miss them! If you have decided to stay at the Disney Resort but don't know which hotel to choose, here is a comparison of all three Disney hotels, their features, ammenities and rates. On the other hand, if you are still undecided on whether to stay at the Resort, read on. Here are some considerations and answers to some of the most frequent questions. Convenience to the Theme Park is one of the advantages of staying within the resort. The five minute shuttle bus that takes you between the Park and the hotels runs consistently on schedule every 10-15 minutes during park times, and continuously after the fireworks at closing time. 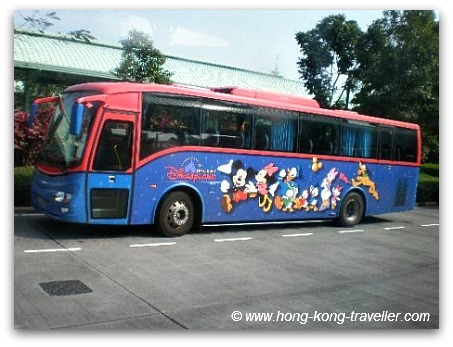 The shuttle bus takes you to the Public Transport Interchange, where the MTR station and Public Buses are, this is a 5 minute walk to the Disneyland Park Entrance. The convenient shuttle makes it a snap to go back to your room for a nap during the day, and return later to the park and catch the fireworks. Having this flexibility is a great perk if you are travelling with little ones. The shuttle operates after the park closing time until 1:00 a.m. if you are in town and coming back late it is no problem, and beyond this time by request. The Disney Shuttle does NOT provide transportation to the Airport. If you prefer, you can also walk to the park from the hotels, from the Disneyland Hotel it is an easy 10 - 15 minute walk at the most if you take it really slow along the Park Promenade. Explorers Lodge an extra 5 minutes and tack on another 5 minutes to the Hollywood Hotel, the furthest from the three. See the Map below. Getting to the city from the Disneyland Resort MTR station is easy and convenient although not exactly around the corner. It will take you some 35-40 minutes to get to Kowloon and about 40-45 minutes to get to Central. 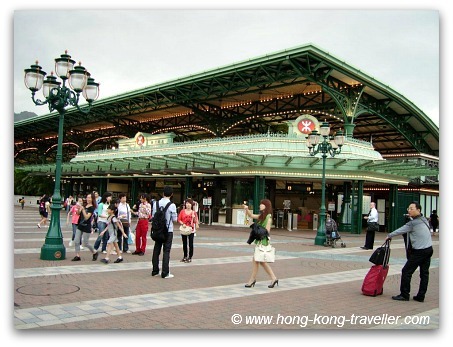 To get to Kowloon take the Tung Chung MTR Line to connect to the Tsuen Wan MTR line that will take you to the most popular stops including Mongkok and Tsim Sha Tsui. To get to Central take the Tung Chung MTR line all the way to Hong Kong Station. Here are instructions and MTR line map for getting to the park from Central and Kowloon, you can follow them in reverse to get to the city. Guests at any of the Disney Resort hotels get priority admission passes for some of the most sought after attractions at the park that always have long lines, like Hyperspace Mountain and the Marvel Heroes Iron Man Experience. The number of passes depends on the category of room booked. Hotel guests also have a special sort of "skip the line" Park entrance which can be used only by visitors staying at any of the three Disney hotels. There are all sorts of activities at the hotels involving Disney characters, making this the easiest and most convenient way to meet your favorite Disney friends. You are likely to catch Goofy leading a tai chi session by the maze at the Disneyland Hotel, princesses at the lobby, or Mickey at the Explorer's Rain Drop pool... Keep in mind that the schedules are kind of haphazard for seeing the characters around the resort, check with the concierge when any appearances are scheduled. 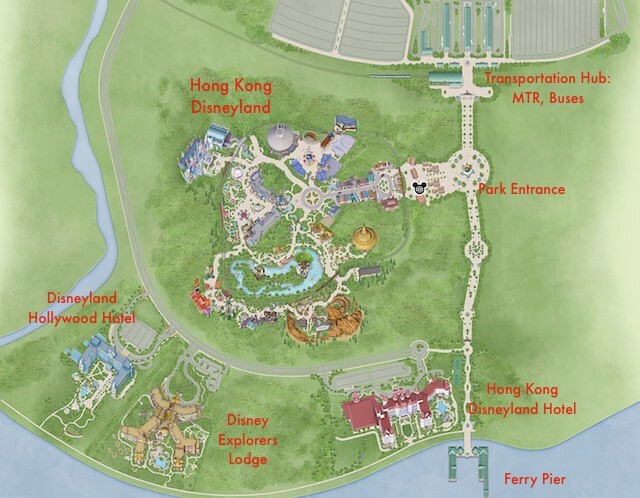 Also part of the Hong Kong Disneyland Resort is the Ferry Pier on the harbour just accross from the Disneyland Hotel, which is now offering a new transportation option. The Star Ferry runs daily service between the Tsim Sha Tsui Star Ferry Pier and the Disneyland Resort Pier. For fares and schedule click here. Magical moments aside, cost and time dedicated for Disneyland vs. city attractions will be at play. You don't want to spend much of your vacation commuting on Hong Kong's MTR system as convenient as it is. 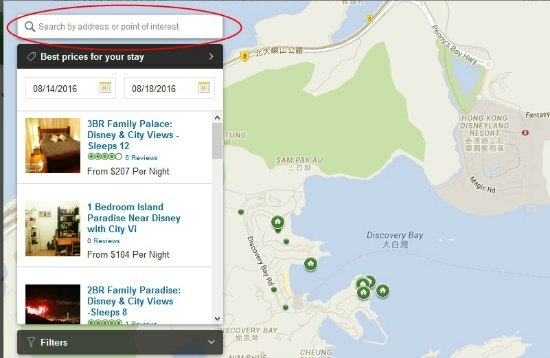 If you are spending several days overall, you might consider splitting your stay between Disneyland and a hotel in either Kowloon or Central. Staying at the Disneyland resort gives you a respite from the hustle and bustle of the city, and is a nice break specially if you have kids that are tired of temples, heavy traffic, and markets. 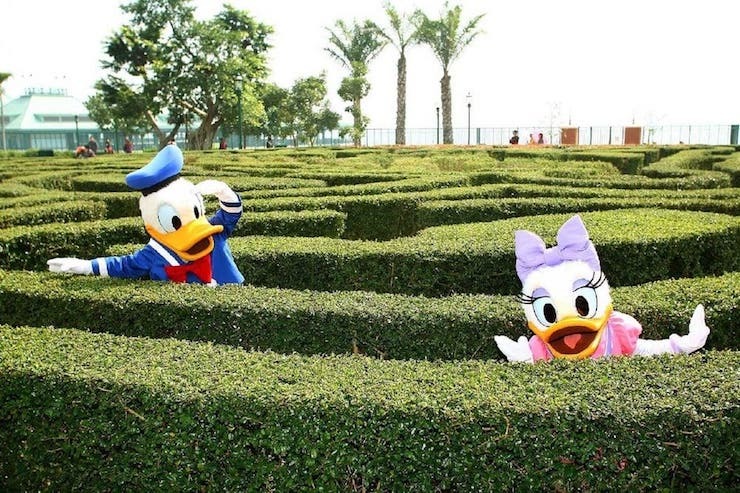 You get to spend some time in more quiet and relaxed surroundings, immerse yourself in the Disney Magic and have a convenient base for many other popular Hong Kong attractions. 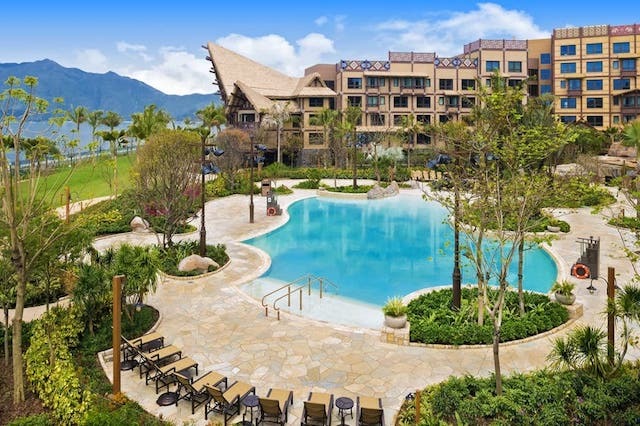 Cost considerations to keep in mind: Hong Kong Disneyland Resort rates could be higher than other hotels of the same category in the city, however, rooms are large (for Hong Kong standards), most have two double beds and can accommodate up to 4 people. 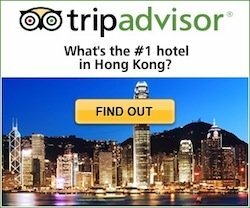 If you are a family with 2 kids, then this option will not be any more expensive than staying somewhere else, since not too many hotels in Hong Kong can fit four to a room so you would be left with booking two rooms. Hotels near the Airport are also very convenient to the park and in most cases offer family vacation packages which make them a very attractive option. They all provide free shuttle transportation to Disneyland as well as convenient transportation into the city, larger and connecting rooms are available which are great for families. More on Airport Hotels with Disney Packages. 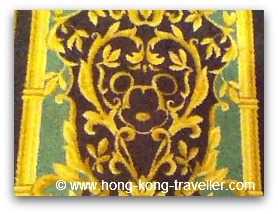 Consider an apartment or vacation rental in Lantau Island. This is a great option for families or larger groups if you are staying for a few nights. It is quite convenient having a little extra space and a kitchen for quick meals or snacks and it can also save you some money. The Discovery Bay area is quite popular and also has a Ferry service that connects you with Central. There are many waterfront and beach rentals, some will give you direct views of Disneyland and the fireworks at night! 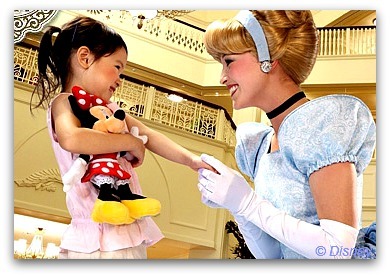 How to look for vacation rentals near Disneyland? Enter the dates of your travel, number of people, etc. The little green dots represent all rentals available for your dates. You can check reviews and rates and select one that's right for you.